Can I change the starting invoice number? Just a note that invoice numbers can be recycled but gaps will not be filled. For example, say you have created ten invoices (#1 - #10). If you delete invoice #10, invoice #9 and invoice #8 when the next invoice is created it will be invoice #8. 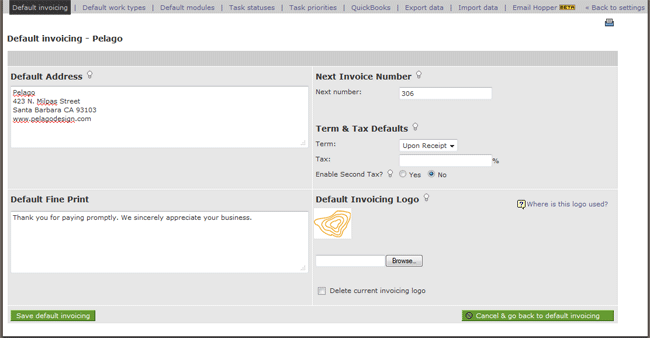 If you have this same scenario with ten invoices and delete invoice #5 when the next invoice is created it will be #11. This is done by design when there is a high number of invoices it would be odd going backwards if a legacy project was deleted or a really old invoice was deleted.